Learn Japanese online with various learning materials. Hiragana Katakana, Kanji and today's Japan. We provide various learning materials from the basic level to the intermediate level. If you are new to learning Japanese, please go to the Words & Basics. You can learn essential Japanese vocabulary and how to make Japanese sentences. Practical Japanese phrases and dialogues are introduced at the Phrases & Conversation section. You can use it today. CosCom has been developing many original teaching-learning materials based on our professional experience. We sell some of them as "Main Learning Materials". This material helps you acquire the ability to go with the flow of conversation, even about a complicated subject, by learning how to build up simple and short sentences through audio drills. This material covers from the basic level to the lower intermediate level. This material is designed for those who want to learn practical Japanese conversation in a short period of time. This material explains clearly about the meaning of each verb with explaining its usage. "Key Sentences", "Practical Usage" and "Short Dialogues" also help you to grasp how you can apply each verb in communication. 2001.Kanji.Odyssey series is suitable for those who are new to Kanji learning or for those who have already learned the basic Kanji characters. We separated readings of each Kanji into important and unimportant ones. Students can focus on important readings and important Jukugo (compound). We have provided various supplementary materials besides the main learning materials. Supplements cover from the basic level to the intermediate level. Intermediate series will lead you to the next stage. 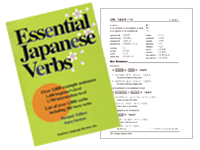 News and Intermediate materials introduce today's Japan in easy-to-understand Japanese. We constantly update them and add new series. The illustrated sentence cards are systematically arranged according to a typical word order such as "who", "when", "where" and "what to do". There are traditional festivals and new festivals. Copyright (C) 2018 CosCom Language Service, Inc. All Rights Reserved.